Tempco Manufacturing has been in the metal stampings industry for over 70 years. Located in St Paul MN, we serve a wide range of industries with our custom metal stampings and custom sheet metal fabrication capabilities. Founded in 1945, Tempco is a 3rd generation, family-held company. We have over 83,000 square feet of manufacturing space at our main plant, including our tool and die shop, along with a separate warehouse with 37,000 square feet for finished goods. Tempco has offered solutions in just about every industry ranging from Aerospace to Hardware and everything in between. 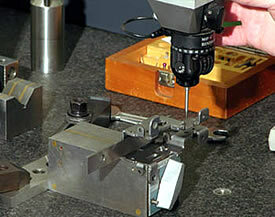 Let Tempco, with our 70+ years of experience, be your low-cost, high-quality custom precision metal solutions provider. Request a quote or contact us today! Custom metal stamping is an industrial process that relies on equipment fitted with dies to produce shapes from sheet metal. In addition to stamping, metal presses can punch, tool, notch, bend, emboss, blank and coin sheet materials. Metal stamping is vital to several industries. 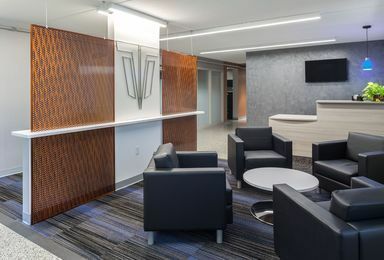 Tempco’s philosophy is to maintain low operating costs, invest in best-in-class technology, automate and standardize, and hire smart, motivated people. Our ability to provide complete assemblies, inventory management (JIT, kanbans, pull programs), and logistics. Tempco strongly encourages engineering collaboration between our engineers and our client’s engineers to come up with the best possible low-cost solution to manufacture the client’s product while still meeting the client’s needs and not compromising quality or function of said product. Tempco Manufacturing, a leading manufacturer of custom stampings and custom sheet metal fabrications, takes pride in our quality assurance and engineered solutions. 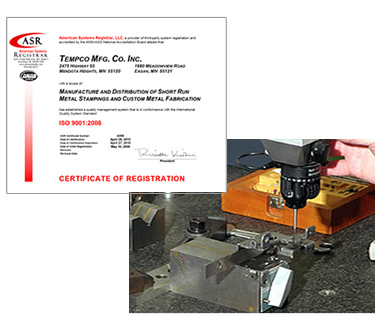 Tempco's quality management system is certified to AS9100D standards, ISO 9001:2015 certified and ISO 13485:2016 certified. We also hold a Federal Firearms License (18 U.S.C. Chapter 14) ideal for manufacturing parts and components for firearms. 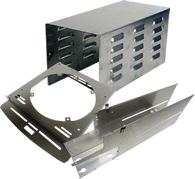 Sheet metal fabrication involves manufacturing components by way of manipulating sheet metal. This is accomplished by first laser cutting or turret punching the material, precision metal forming, bending, and rolling of the sheet metal, and welding. Tempco produces sheet metal fabrication parts and assemblies across many markets, from medical and technology to heavy equipment. Tempco can form, draw and assemble small to large sheet metal fabrication assemblies that our three CNC turret presses and fiber optic laser produce. We have a large welding department, assisted by robotic welding capabilities, for all your assembly and fabrication needs. Tempco also can handle your cosmetic needs using finishing techniques performed by our skilled personnel and our straight-line sanding machines. Tempco is your one stop shop for sheet metal fabrication and turnkey parts. We provide inclusive, comprehensive solutions, not limited to sheet metal fabrication, metal precision stamping and engineering prototype services. Contact us for more information regarding our custom metal stamping capabilities, or request a quote for an in-depth price analysis today. Request a quote on custom metal stampings, or contact Tempco Manufacturing for more information.